GURUGRAM: The Delhi government’s decision to allow micro-breweries in the capital has elicited mixed reactions in the city. While excise officials say it can lead to a loss of revenue for the state as well as the breweries, a number of city brewery owners are taking the decision in its stride. Lalit Ahlawat, co-owner of Gurugram’s popular micro-breweries Soi7 and Striker, says that the city’s corporate culture will help the city’s miccrobreweries survive in the face of this change. “People come here for corporate dinners and post-work interactions. A number of corporate offices are situated in Gurugram and the employees working in these offices are not likely to go to Delhi,” says Ahlawat, confident that the business in the city will not take a big hit. The decision has also evoked some excitement among some city bar owners who want to take their businesses to Delhi, as well. A few of them have already started scouting for locations in Delhi. They, however, believe it will be a while before Delhi catches up with Gurugram’s 40-odd breweries, some of which have already established their brands. “Setting up a brewery is not an easy process. You need to set up an ETP (Effluent treatment plant) and get permission from a number of agencies, including MCD, DPCC etc, which might take a while,” says Rahul Singh, the president of National Restaurant Association of India, Haryana chapter. However, Singh believes the move will have a direct impact on the market in Gurugram because a number of people who live in Delhi would not travel to the city on the weekends or on off days anymore. “The traffic at the intersection of the two cities could also be a major deterrent,” says Singh. Rohit Yadav, director of Agent Jack & Brewer Street in Sector 29, says that it will take nearly six months to a year to set up a microbrewery in Delhi and even after that, people will travel to Gurugram if they think the quality of brewed beer is better in the city. 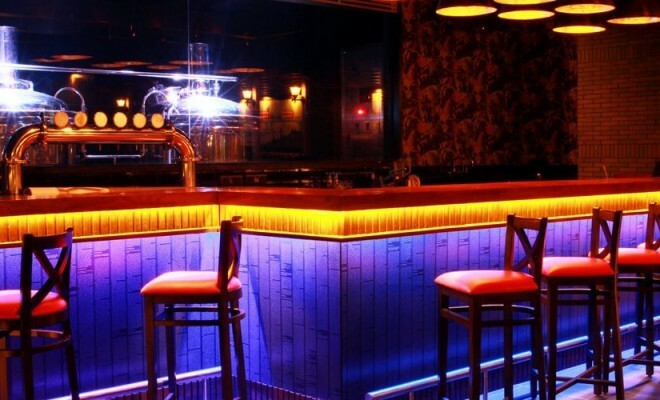 Manish Sharma, founder of Molecule Air Bar in the same sector, says not many people from Delhi visit the city’s bars, adding that he expects a 2-3% drop in sales. Rahul Deshwal, co-owner of Factory by Sutra, says business will be hit but micro-breweries have no option but to step it up and maintain the quality to retain their regular customers. However, according to an excise official who spoke to TOI on the condition of anonymity, the business will be affected as a large number of people travel to the city’s microbreweries from Delhi, Noida and other places. “Gurugram was a niche market and now, it will have to compete with Delhi,” he adds.